Catholic Mobilizing Network (CMN) proclaims the Church’s unconditional pro-life teaching and its application to capital punishment and restorative justice. CMN works in close collaboration with the U.S. Conference of Catholic Bishops to prepare Catholics for informed involvement in campaigns to repeal state death penalty laws and expand or inaugurate restorative justice programs. 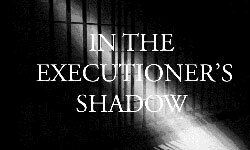 Educate the lay community through our programs and materials on the Church’s teachings on the death penalty. Facilitate respectful and informed discourse within the Catholic community and the community at large. Encourage informed Catholic involvement in the public debate. The Catholic Mobilizing Network to End Use of the Death Penalty (CMN) in the United States endeavors to take up the challenge of the U.S. bishops’ “Campaign To End the Use of the Death Penalty” (A Culture of Life and the Penalty of Death, 2005). Late in the summer of 2008, veteran proponents of ending the death penalty gathered in Washington, D.C. to consider how best to engage lay American Catholics in the bishops’ campaign. Among them were Sister Helen Prejean, author of Dead Man Walking, and leadership from the U.S. Conference of Catholic Bishops, Catholic Charities USA, the Franciscan Action Network, the Maryland Catholic Conference, Catholics Against Capital Punishment, Murder Victims’ Families for Human Rights, the National Coalition To Abolish the Death Penalty, Equal Justice USA, and New Jerseyans for Alternatives to the Death Penalty. The group determined that a national Catholic networking organization should be created to inform and facilitate the death penalty-related work of state Catholic conferences, diocesan offices, and other Catholic organizations and institutions. Among other services, the new organization would provide resource materials and education programs (in English and Spanish), workshops, speakers for conferences and special events, and a website with downloadable media. Thanks to the involvement of Vicki Schieber, a nationally recognized spokesperson for Murder Victims’ Families for Human Rights, it was also determined that restorative justice, which seeks to repair the hurt caused by the violent taking of human life, should be integral to CMN’s work. CMN was formally launched on January 25, 2009. Numbering more than 67 million, Catholics comprise about 22 percent of our nation’s 309 million citizens. In states where repeal efforts have succeeded, or have made greatest headway, Catholics have been in the advocacy vanguards. Firm in the conviction that Catholics can make the difference, CMN seeks significantly to increase the number of American Catholics who embrace the Church’s death-penalty teaching and, with that teaching as their basis, work for the end of all state capital punishment laws.